As I listened as my mother and my friend talk, I was “Your mother is really something,” Maril said as we left the home. “I enjoyed seeing her. I’d like to go again with you sometime.”proud of my mother’s poetic and eccentric answers, proud of the way she engaged in the conversation. And I was grateful that my friend was able to appreciate my mother, listen to her words and intuit their deeper meaning. The visit was a huge gift for me. Seeing Maril engage with and appreciate my mom just as she was reminded me of the depths of my mother’s many talents and facets. This knowledge later helped me get through those moments when my mother seemed faraway or lost. My friend reminded me- there are so many ways to carry on a good conversation. 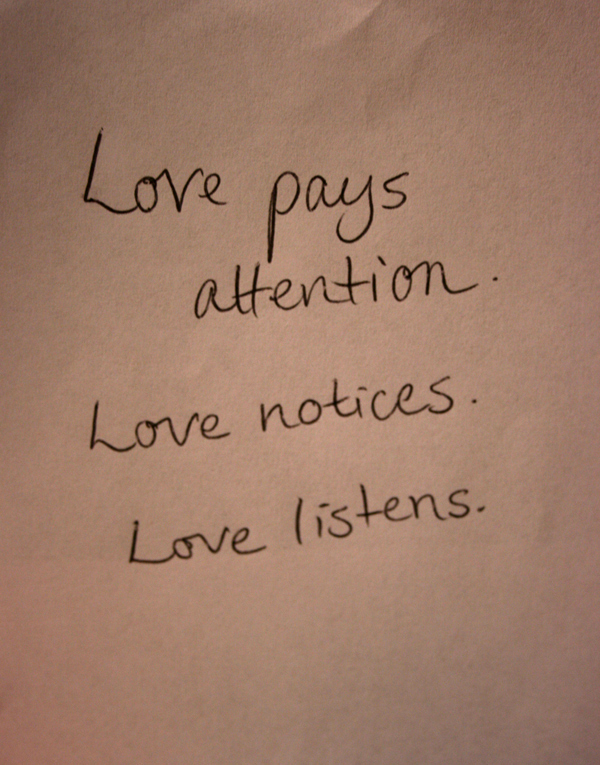 All you need is attention, intention and love. The front door of my childhood home in Memphis was the turning point. My parents had been having a hard time; my dad was complaining about Mom’s forgetfulness and Mom was distraught about Dad’s nagging. As the confusion and concern deepened around my mother’s decreasing memory and increasingly odd behavior, my brother Dan and I decided we needed to do something to cheer up my parents. He lived in Chicago and I lived in Kansas City—we decided to fly to Memphis and surprise my mother for mother’s day. We talked to my father –we wanted to dress up as presents. Dad was to be home when we arrived, to let us in the house, then bring Mom into the living room for her surprise. That door, which had always opened to my mother and my father, now opened me up to my journey to the land of dementia. Suddenly, I seemed to have a new set of parents–the father was suddenly emotional and turning to me for advice and a mother who was constantly forgetful and looking at me with sweet scared eyes wondering what she should do next.